Atradia is a professional services organisation, originally branded as Atradia Consulting. We provide a range of services focused on the data and technology driving and supporting the global financial markets. 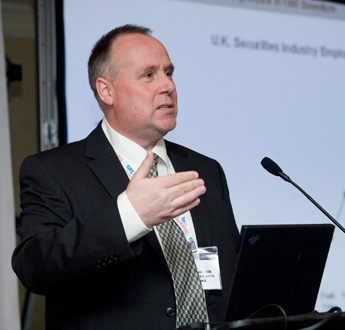 Atradia was established at the start of 2002 by David Anderson, its founder and principal consultant. David has worked in the financial sector since September 1984 including sales and marketing roles at Telerate and Reuters. He is well known in the UK, where Atradia is based, but also in Continental Europe and in North America; predominantly New York City – this high profile is generated by speaking and moderating at industry events and by conscientious maintenance of a high quality industry network on both sides of the Atlantic, all further supported by frequent quotations in the mainstream and financial press. Atradia has access to a wide pool of talent and expertise that can be deployed in an associate capacity depending on our clients’ changing needs. If we don’t have the right resources on board we most likely know where to find them. We are nimble and light of foot but we can also scale up for larger projects as required. Atradia provides classic marketing consultancy, both strategic and tactical but we are also recognized commentators on the industry we work within. Put another way – we provide objective research and analysis but if asked we are not shy of stating an opinion.